Verso combines natural sciences and creativity in new healthy and tasty food concepts for domestic and international markets. We are enthusiastic about finnish raw materials and design. 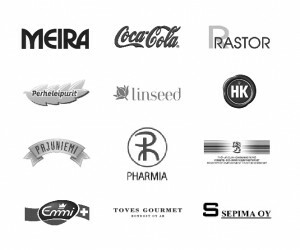 Verso started in 2007 to offer R&D&D (research&development&design) consultancy services to Finnish and international food and biotechnology companies. We work with these companies developing new and enhancing old product concepts, long term R&D programs and shorter development projects such as product facelifting. Our scientific expertise is in microbiological, technological and nutritional applications, patenting and science-based marketing communication. We also have a very experienced wide scientific network. Our creativity is driven by consumer trends and our own ‘’trend noses’’ as well as scientific research all of which generate new marketing concepts – branding, packaging innovations and design. R&D projects: Verso helps in idea generating, planning R&D programs or individual projects with special expertise in microbial applications, nutrition and food technology. We can help our clients starting from an idea reaching all the way to the finished product concept. Package design with product communication: Verso offers package design and visual+verbal communication to differentiate the products. We have experience and expertise in industrial design, technology and marketing communication to be combined with our customers’ own knowhow. VALO 24H product concept and brand has been created by Verso. VALO24h product range is based on Finnish flaxseed with additional different forest berries. VALO 24h was launched very successfully in May 2011 and in 2012 the brand was priced as ‘’product of the year’’. LAPLAND CHEESE product concept and brand was created by Verso in 2010-2011. The product range is based on traditional Finnish baked fresh cheese served as desert with special arctic berryjams. The product was launched in China and also the production is in China. NORTHFORCE brand with the visual image and concept of ‘’old legends’’ was created by Verso. The products are based on special, arctic whey protein from Finland. Northforce is a pro-brand for sportsmen internationally. The products were launched 2011 by expert marketing network. VERSOBRANDS is a sister company of Verso established in 2011 for commercialization of Verso’s own brands / product concepts. The core of Verso brands is based on healthy and pure Finnish raw materials combined with joyful, innovative marketing and brand images. Ecological, organic products and animal welfare are close to our hearts and strong inside our brand. BERRYPICKER product concept and brand has been created by VersoBrands. Annika Mäyrä is an expert in research and development, specializing in functional foods. She has over 25 years of experience from the food industry and she has worked as the R&D director for Valio and Raisio. Annaleena Hakatie is industrial designer, worked widely in the field of commercial product design and brand building. She has also conducting funded academic research in Aalto University studying how industrial design is conceptualized as corporate value production systems and a source of innovation.